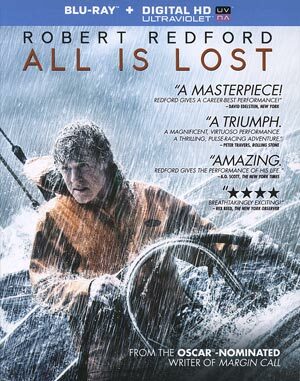 All is Lost features a top-notch and award-worthy performance from Robert Redford in an ambitious film from writer/director Chandor making a solid follow-up to Margin Call. I can easily say this is well worth a rental. The Blu-ray released by Lionsgate has some OK bonus material but the audio and video are both very good. If I learned one thing about All is Lost it’s that God must really hate Robert Redford because He (or She) threw everything they had. But in all seriousness, this is a man vs. nature movie, no other cast members and barely 15 words spoken after the opening narration/reading. The story is pretty simple: The main character is credited only as Our Man (ROBERT REDFORD) who, when the film opens, awakens when his yacht crashes into a floating shipping container breaching the hull and, of course, frying his electronics including radio and laptop. Our Man gets to work dislodging the container from his boat, retrieving the electronics, patching the gaping hole and manually pumping out the water as his onboard pump apparently went caput as well. Things for Our Man go from bad to worse as a fierce storm is upon him, thrashing the boat and the movement causes him to hit a pole and knocked unconscious where, upon awakening, discovers the hull once again full of water but a nasty leak leading him to abandon ship and into far less comfortable inflatable life vessel. One odd thing, and this is even acknowledged during the commentary track, as the storm is coming, Our Man makes preparations locking down and putting away objects (like liquor) but instead of getting things ready up top, he takes time out to get a good shave because lord knows, Our Man wants to look his best when disaster strikes! It’s a nick-pick for sure, but one odd observation and dumb decision making in a series of questionable decisions made by Our Man already and to come. The remainder of the movie finds Our Man drifting in the ocean using old school skills to map his whereabouts, surviving on minimal amount of food and water and more general man vs. nature as he must battle the elements and hope to find rescue before it’s too late. 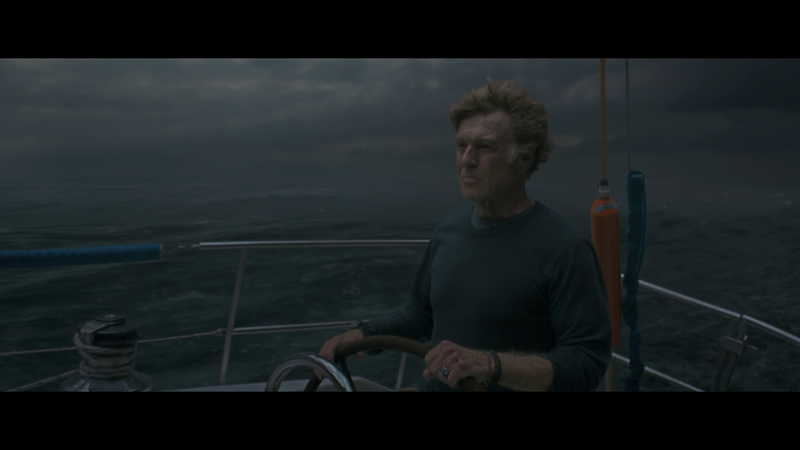 All is Lost is quite the adventurous film and one hell of a performance from Robert Redford which is why I was surprised when he failed to receive a Best Actor Academy Award nomination, though this year was a tough slate that an argument could be made for each of the men who did get the nod. In any case, while the plot was wonderfully simplistic, I did have a hard time identifying with Our Man that we know nothing about him and thus it’s tough rooting for or against him, although one could surmise why he was sailing in the first place. Still, even though I wasn’t 100% enthralled with the film outside of Redford’s performance, it’s one heck of an achievement for writer/director J.C. Chandor in his follow-up to the critically acclaimed Margin Call for which Chandor received an Oscar nomination for Best Original Screenplay. What’s most fascinating is the dynamic differences between Margin Call and All is Lost: one is a fairly complicated storyline surrounding the collapse of the U.S. economy at the hands of a unscrupulous corporation while the latter is simple as it gets to the point the main character doesn’t even have a name; second is the dialogue, MC is filled with wall-to-wall corporate lingo talk, exposition and the like while AIL has maybe 30 words total; last, and this is obvious, the former has numerous number of characters, the latter only with one. It’s quite the accomplishment for Chandor to write and direct two distinctly different films and yet still find success in both. In regards to the technical elements, some of the visual effects shots are a bit wonky but considering the reported $9 million budget where they had to film in tanks and in the ocean, the work done was quite impressive not to mention working with and in water, be it large tanks or in the ocean, the filmmakers did a wonderful job with what had to have been limited resources even with a cast of one. 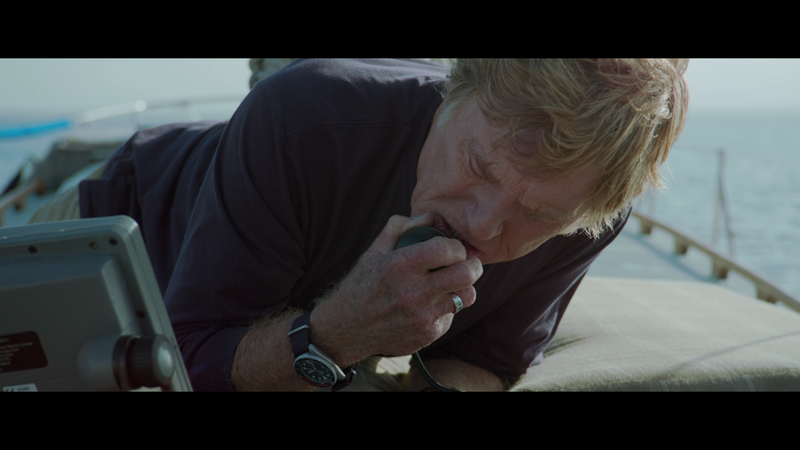 On the whole, All is Lost wasn’t a brilliant movie but Robert Redford delivers a commanding performance worth remembering for years to come when you take into consideration the man is 75+ years old. As I said, it’s a shame he didn’t get a nod but it appears this was a strong year for actors so mainly bad luck on his part. Outside of him, however, I wasn’t completely in love with the film yet still it easily kept my attention until the very end (which was well done, actually). This release comes with a matted slip cover. Inside is a download code for the UltraViolet Digital Copy. Filmmaker Commentary – Writer/Director J.C. Chandor & Producers Neal Dodson and Anna Gerb chat about the movie providing anecdotal stories while filming, working with Redford, some of the changes and challenges of filming. 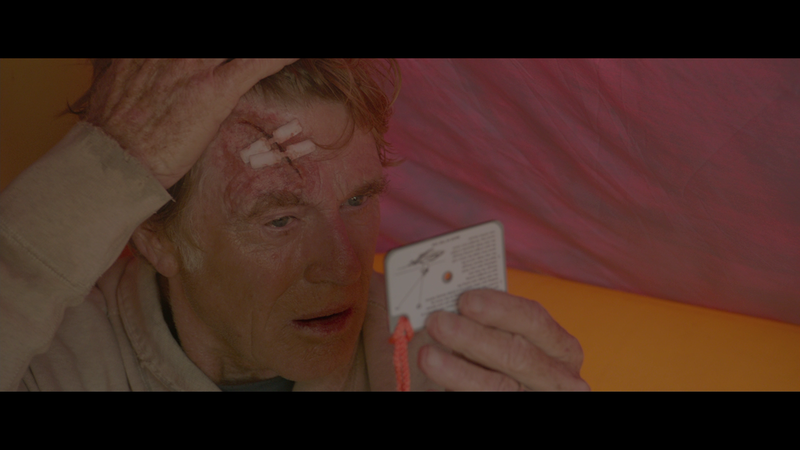 The Story (3:45; HD) is a short featurette where star Robert Redford and Writer/Director J.C. Chandor (along with a couple other crew members) talk about the story of survival. The Filmmaker: J.C. Chandor (3:17; HD) where the director chats about the origins of the movie and, with storyboards, getting it onto the screen. The Actor: Robert Redford (4:25; HD) finds the veteran actor, and others, talking about the movie and his character. 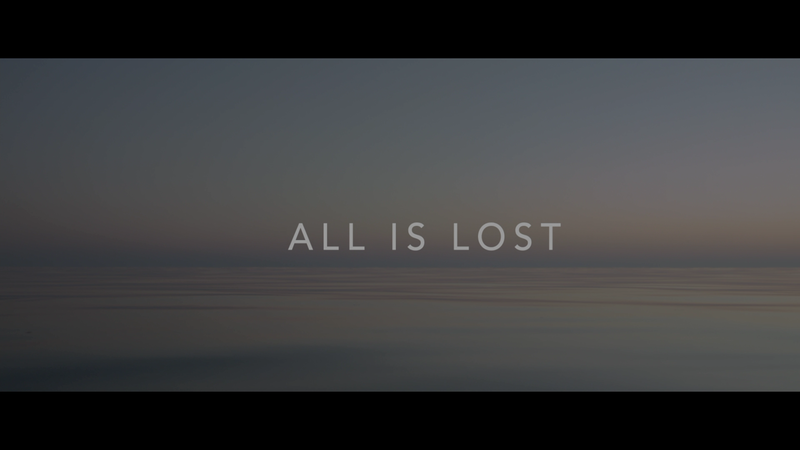 The Sound of All is Lost (11:59; HD) is a lengthy featurette examining the importance of the audio in a nearly dialogue-free movie. Big Film, Small Film (6:11; HD) looks at the production of the film and doing it on a large level (with water tanks, sets, underwater photography, etc.) on a limited budget. Preparing for the Storm (7:58; HD) – This featurette is about the prep work done before filming. 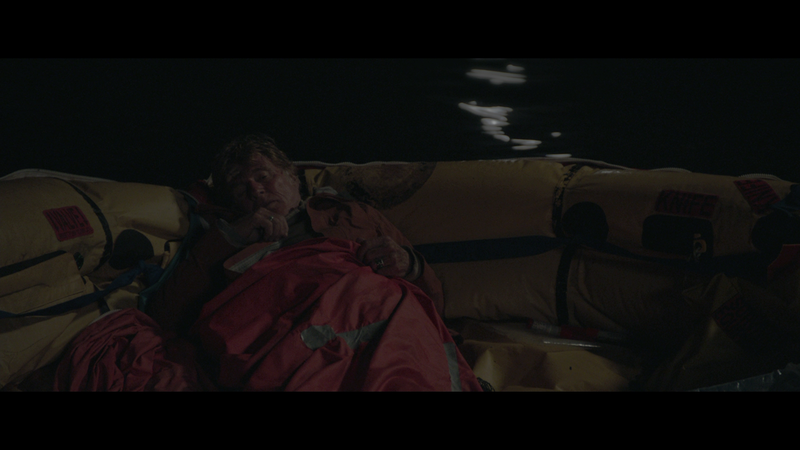 All is Lost ports onto Blu-ray presented in 1080p high-definition and shown in its original 2.40 widescreen aspect ratio. For the most part the transfer is decent with good detail levels and colors appear to be well balanced though drifting (no pun intended) toward darker elements rather than bright colors. However, that being said, there are many instances of banding instead of a smooth transition in colors (like in the sky or horizon). Still, it’s a good transfer, just not perfect. 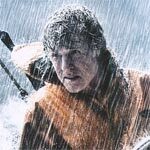 The movie comes with a robust 5.1 DTS-HD Master Audio track which really packs a punch and puts you in the middle of the action as Redford continually gets pummeled by Mother Nature and all her fury. The sounds of the waves, be it calm or stormy, make use of each channel and Alex Ebert’s haunting score helps expand it even more to being an all around aural-stimulating experience. 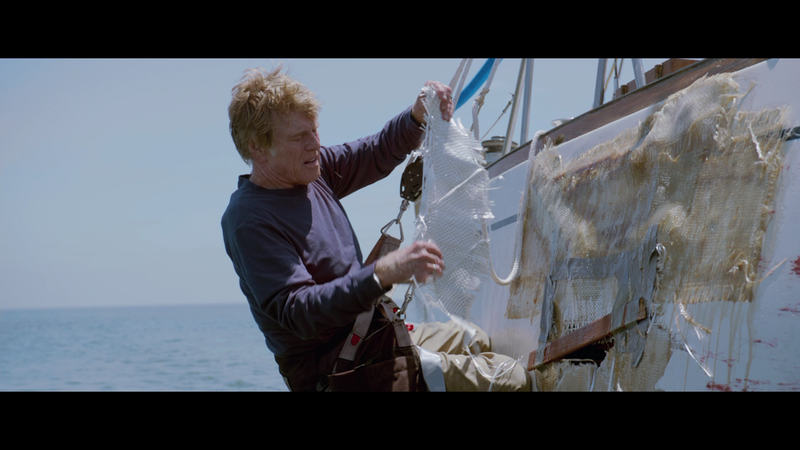 Overall, All is Lost features a top-notch and award-worthy performance from Robert Redford in an ambitious film from writer/director Chandor making a solid follow-up to Margin Call. I can easily say this is well worth a rental. The Blu-ray released by Lionsgate has some OK bonus material but the audio and video are both very good.